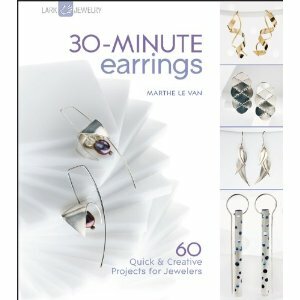 Tomorrow, I've got a review for you of 30-Minute Earrings along with the other 30-Minute members of the Lark Books series. In the meantime, I thought I'd try to tickle your interest by showing you one ultra quick project that was inspired by the book. 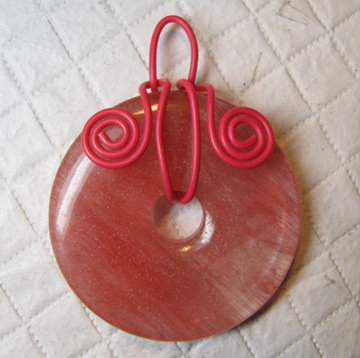 I used a technique by designer Nancy Wickman, but instead of making earrings, I sized (waaaay) up and made a quick pendant from a stone donut and some colored wire. This is actually electrical wire, one of my favorites. Nancy uses copper metal washers and sterling silver wire for a lovely and rustic pair of earrings.